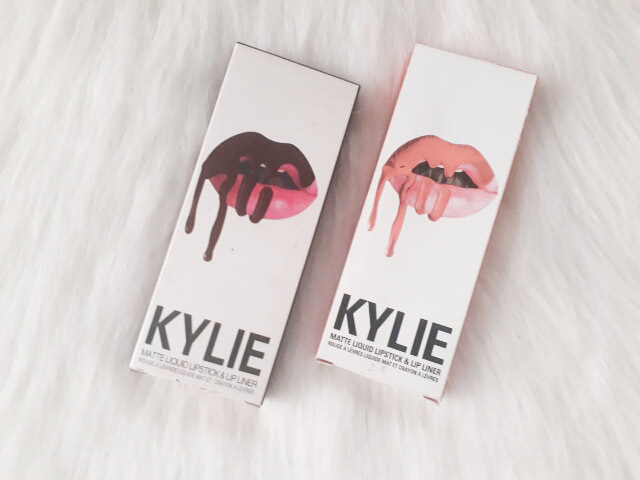 Kylie Cosmetics by Kylie Jenner broke the internet when it was launched in 2016 and there have been lots of counterfiet products that is being sold to the market, most especially all over the internet. To those who find it convenient to buy these products, what you always need to take note is buy at your own risk. Although most counterfiet products don't really break your bank, there may be harmful chemicals, toxic contents such as lead, mercury, dog poop (EW! IKR!) that may cause damage to your skin. 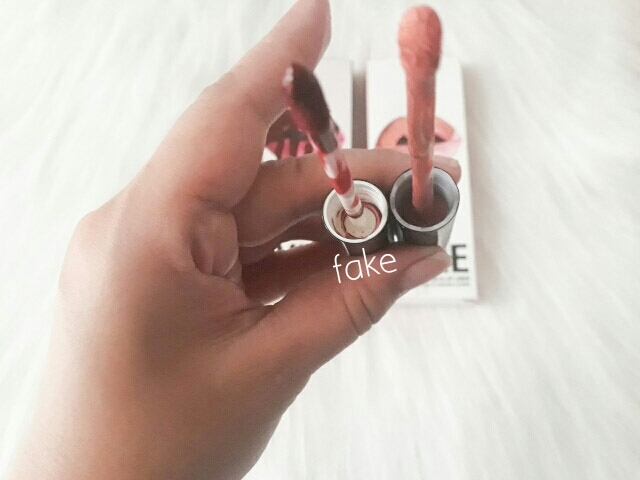 If you will read most blogs from well-known beauty bloggers, they would suggest that you buy drugstore brands instead of fake cosmetics. 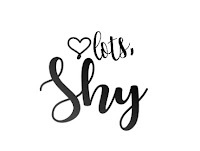 But these posts has nothing against sellers who make a living selling these SG cosmetics. It's just better to be safe than sorry. 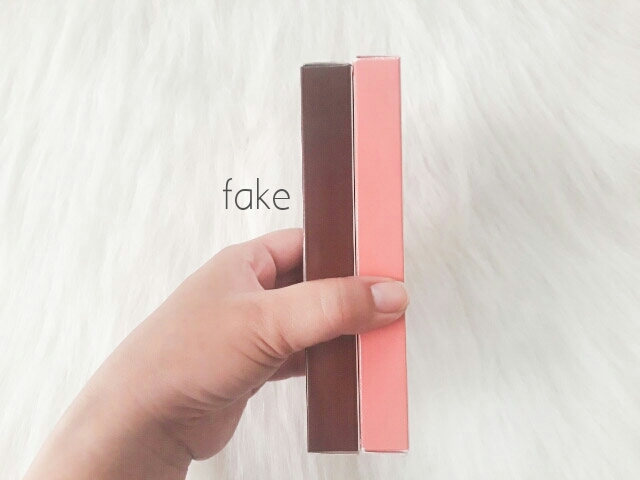 If the price is too good to be true, it's fake! Kylie lipsticks are priced at 1,500-2,000php (around $40). If you see them at 50php, you have to think twice. Because you're trying to save for a 2,000 worth of single lipstick, doesn't mean you can risk your skin with it. The fake box is 1cm shorter than the real one. The fake box is a bit thicker than the original one. The original one has a bold text while the fake has narrow text. 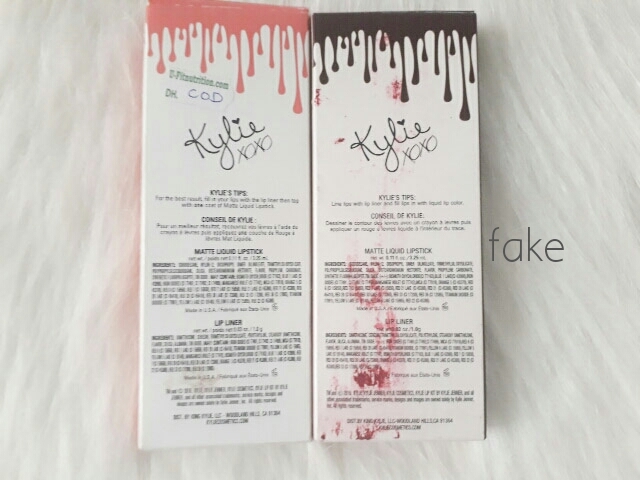 As for the back part of the box, it's not easy to distinguish the fake but if you will look closely, Kylie's Tips has different text content.. The fake one has shorter text. When I was buying the fake one, I noticed that the text is different on every box. 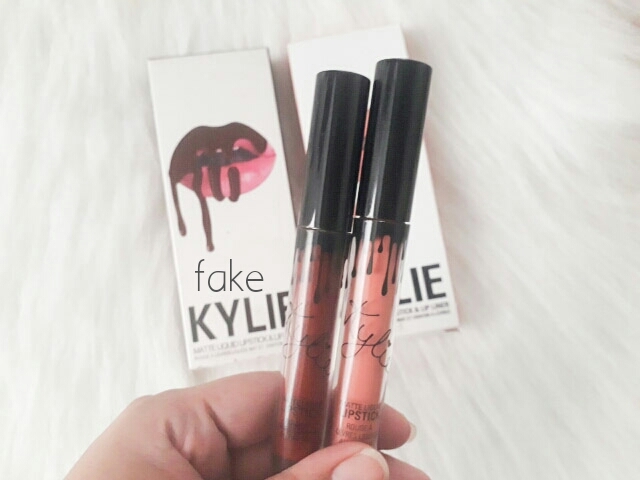 The tube of the original Kylie lipstick is longer than the fake one. And ita tube is a bit thicker than the latter. 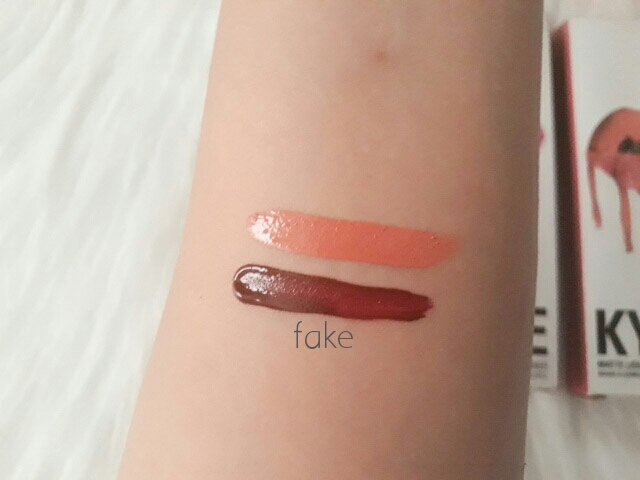 The shade's sticker at the bottom of the tube of the fake one is transparent with the shade's print while the original Kylie lipstick has a silver sticker with shade's name on it. 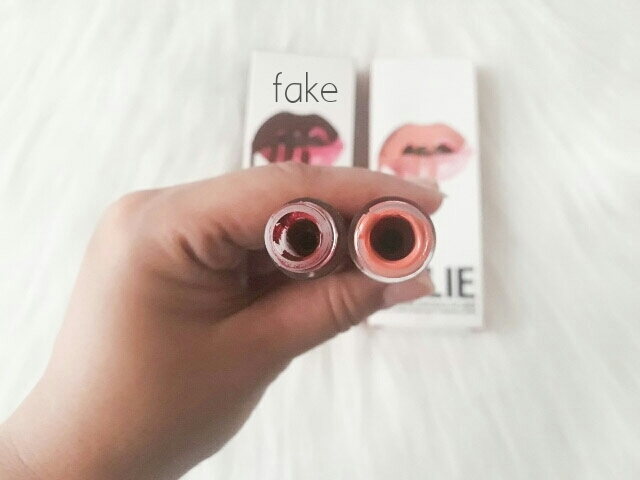 The fake tube is thinner than the original one and has a transparent opening. 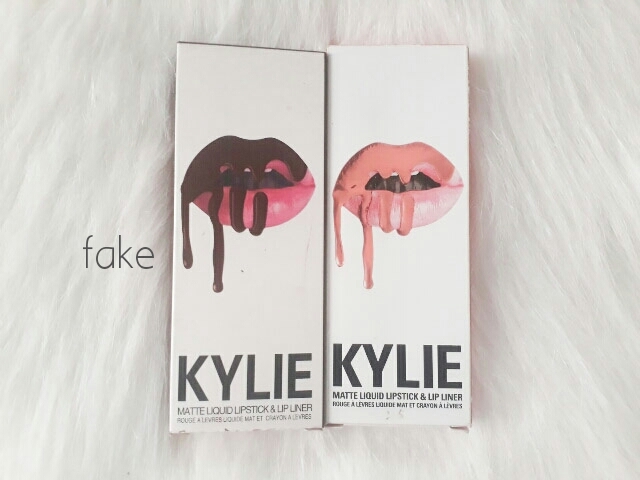 You can also notice that the fake Kylie lipstick is shorter than the authentic one. 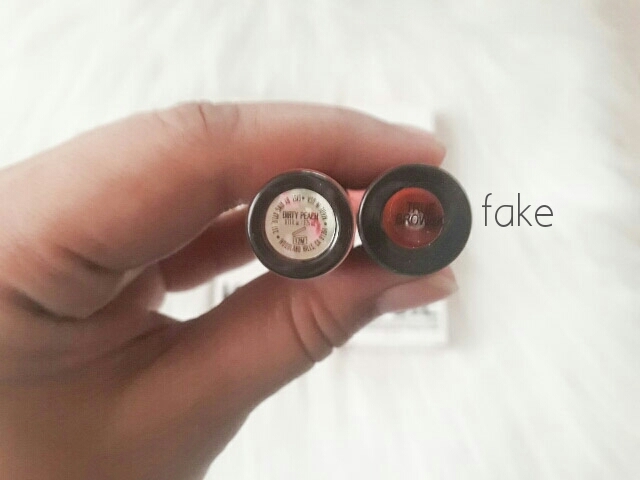 The fake tube's opening diameter is smaller than the authentic one. 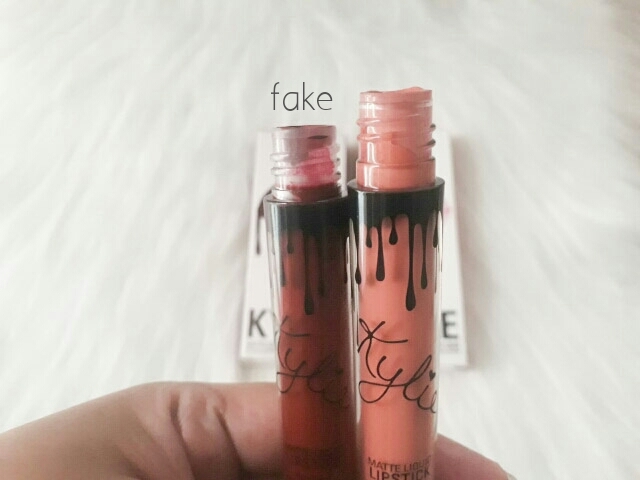 The fake Kylie lipstick's wand is white while the authentic one is transparent. 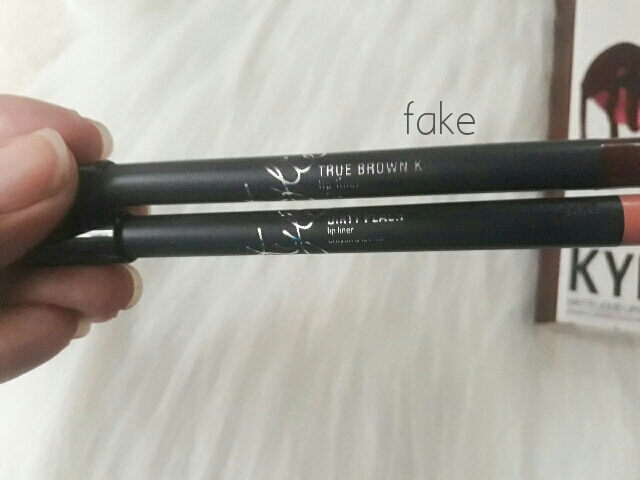 The end of the wand applicator of the fake Kylie is white while the authentic one has transparent. 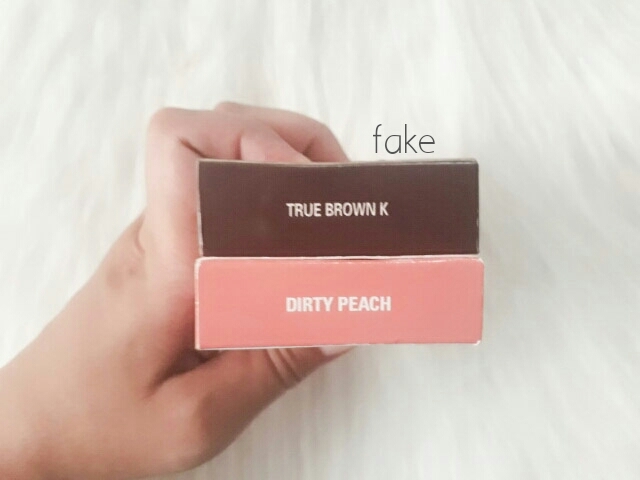 The authentic Kylie lipstick's finish is matte after seconds while the fake Kylie is creamy and sticky even after 2 minutes. 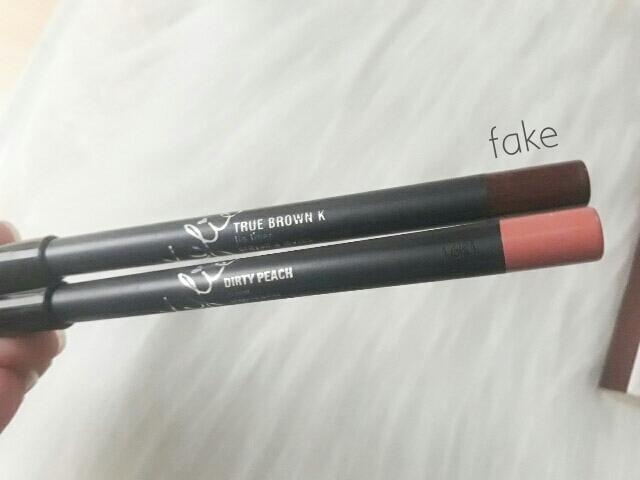 The authentic Kylie lip liner has an engraved print at the end of the pencil while the fake doesn't have it. The authentic one has a holographic silver print while the fake only has plain silver print. 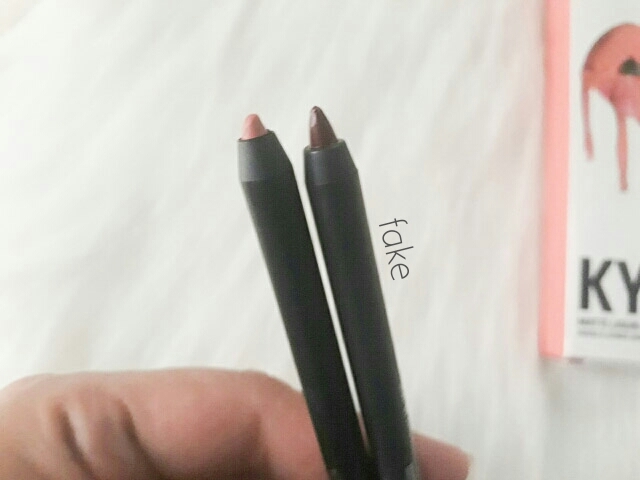 The fake Kylie lipstick has a shorter pencil cap and a thinner pencil. 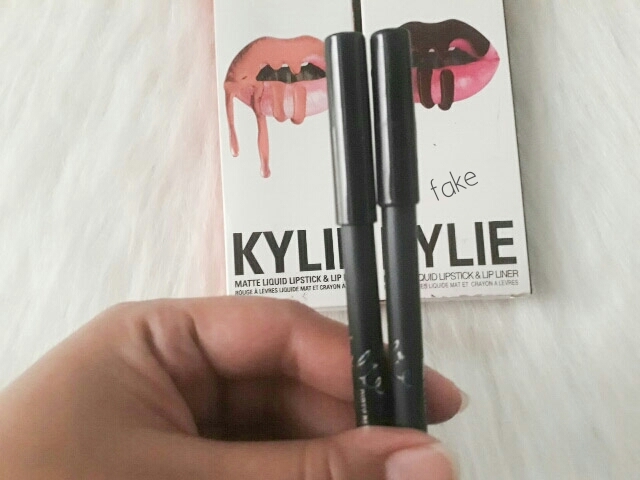 The fake Kylie has a longer lip liner but shorter holder. This lip liner is not retractable. 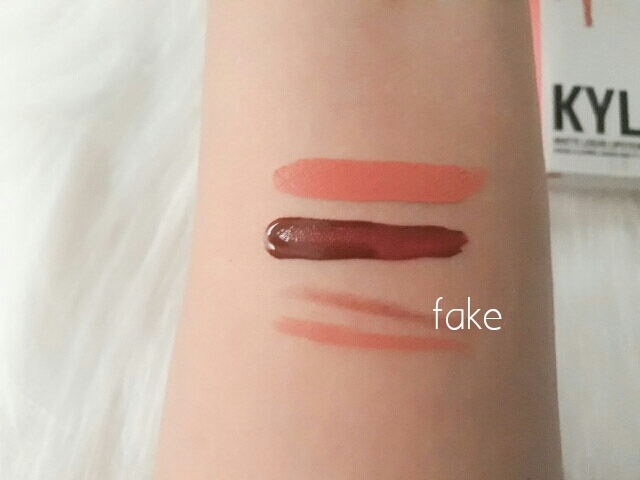 The pigmentation of the fake Kylie lip liner is very light and you will not get your desired color unless you swipe several times. As for the original Kylie, swipe one time and tadaaaa! 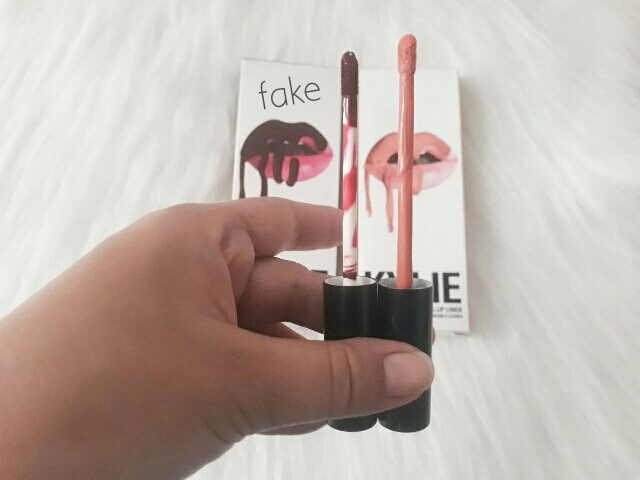 The fake Kylie lipstick is very sticky and doesn't dry after 2 minutes. It can also cake on the lips and hard to remove. It also caused irritation to the sides of my lips so I definitely threw it away after testing. The authentic Kylie lipstick dries matte instantly and has a bare lips feel within seconds. 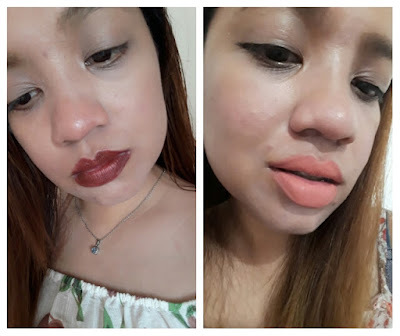 I used to buy fake makeups in Divisoria (an affordable shopping district in Manila) when I am still not knowledgable about its effects to the skin. 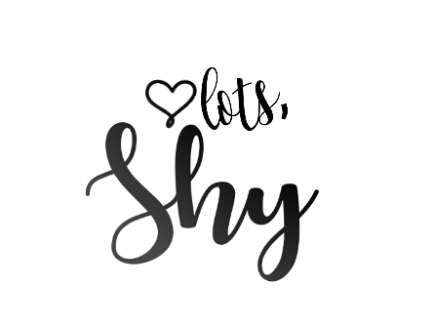 But when I realized how it caused irritation and major breakouts to me, I totally stopped buying them. I'd rather not have high-end cosmetics if I can't afford them than risk my skin with harmful chemicals again.